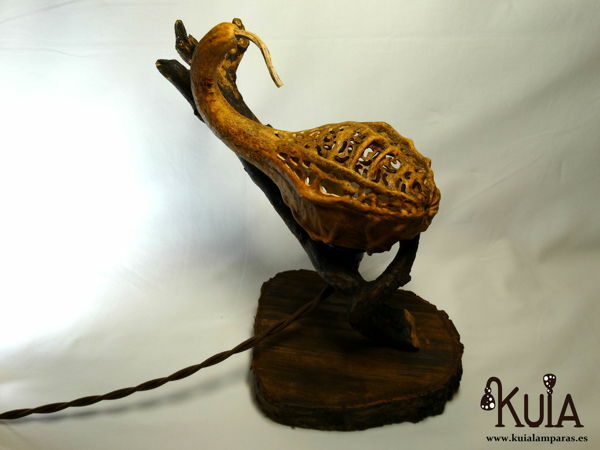 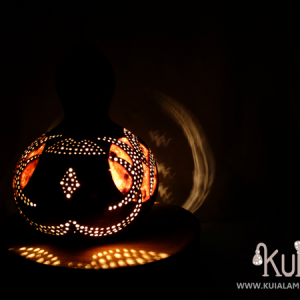 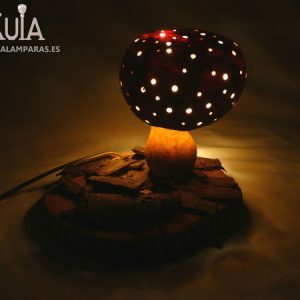 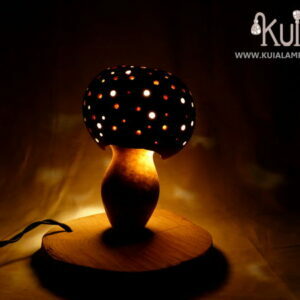 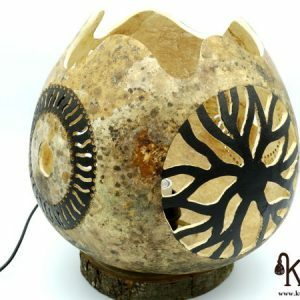 Rustic lamp.Beautiful handmade table lamp made of wood and gourd. 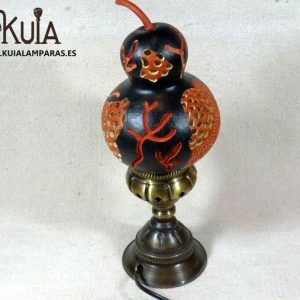 A wooden base from which comes a branch of peculiar shape, where it adheres a gourd carved by hand. 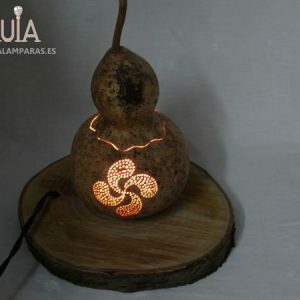 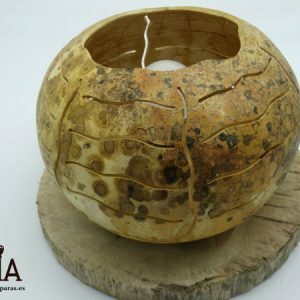 It is a special gourd, known as a dragon gourd, and its main distinction are the nerves that come out along its body.This rustic table lamp is perfect for decorating country houses and hotels that are decorated with wood. 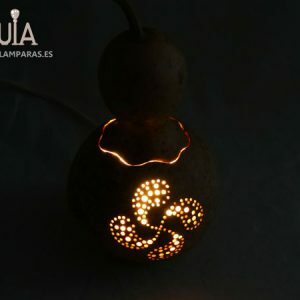 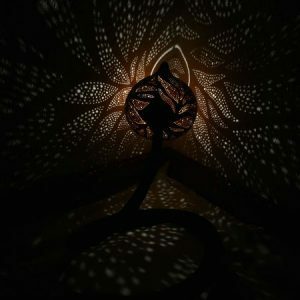 It is a unique and special lamp, which will decorate any corner of the room, and once lit will give a very intimate and warm lighting.